Dubai’s real estate market continues to lead the region in defining trends that then percolate to nearby markets. Let’s investigate these trends by looking at the macroeconomic picture – which delivers a more integrated and holistic view than what analyses predicated on market fluctuations. Within the global economy, Dubai maintains its rank as an investment, lifestyle and residential destination. Our research shows the fundamental drivers that make Dubai an attractive destination have not changed. Dubai is still widely considered a safe haven with a secure investment environment driven by a robust regulatory framework. It is a hub for tourism and international travel and the Dubai government is extremely supportive with world-class, well-directed infrastructure programmes. When we move on to consider market maturity, indicators are robust there too. Dubai learnt a great deal from the global financial crisis of 2008 – which impacted an overheated real estate market and led to a rapid cool down. Today, there are frameworks in place to prevent needless speculation. Investors are being asked for deposits upfront to prevent off-plan flipping. It’s not just the government that has taken proactive steps. Developers, investors and providers of capital have all learnt a great deal and now prioritise due diligence and comprehensive contingency planning before entering new projects. On the demand front, recent reports have suggested price drops in units, potentially linking them to cooling interest. But our analysis shows this isn’t the case at all. Prices aren’t dropping due to market movements. Rather, real estate developers have become far better at offering a diverse mix of developments at different price points to attract buyers across all categories. Dubai now boasts a more diversified real estate portfolio, which makes real estate more accessible to different investor preferences and consequently a more sustainable one too, attracting not only investors but the end-users who prefer to live in their owned home. We’re also witnessing variations in price even within developments – but again, these are according to plan and not driven by market unpredictability. By offering a pricing spectrum based on design, amenities and location, developers are increasing choice and creating a better fit between customer preferences and units available in the market. Meanwhile, hotel apartments are gaining traction as a preferred investment option as investors capitalise on Dubai’s allure as a tourist destination. The Department of Tourism and Commerce Marketing (DTCM) figures show a record total of 10.4 million international overnight tourists arrived in Dubai during the first eight months of 2017, an 8.22 per cent increase over the same period last year. The authority’s aim is to get 20 million annual overnight visitors to Dubai by 2020. These visitors require places to stay and furnished hotel apartments provide a viable alternative to more expensive five-star hotels. Demand for hotel apartments, and in fact for real estate in general, is also benefitting from the Expo 2020 boost. HSBC research has indicated that the Expo will create some 350,000 direct jobs, and perhaps up to one million indirect ones. All these people will need places to stay in the short term and to live long term. While overall market indicators remain sound, competition has increased. With quite a few new developments coming up, customers have more to choose from. They are becoming discerning and want value for the money they spend – particularly in the premium market segment. Customers want a point of differentiation that adds lustre and helps investments make capital gains. They also look for exceptional quality in Tier A locations. 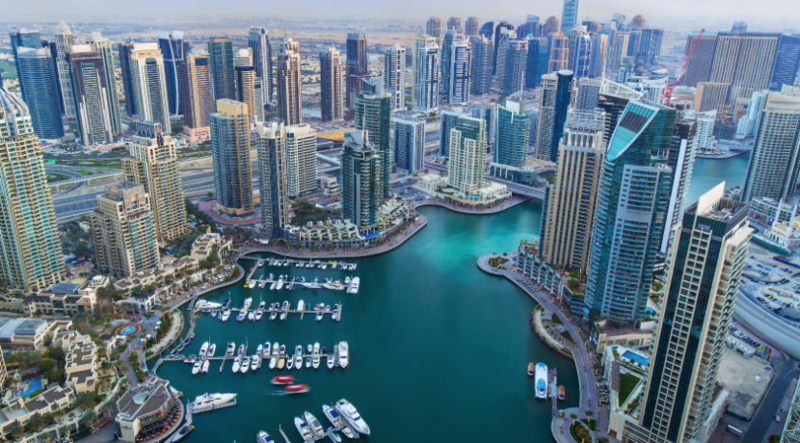 Despite seasonal fluctuations, the picture that emerges of Dubai real estate is very positive. 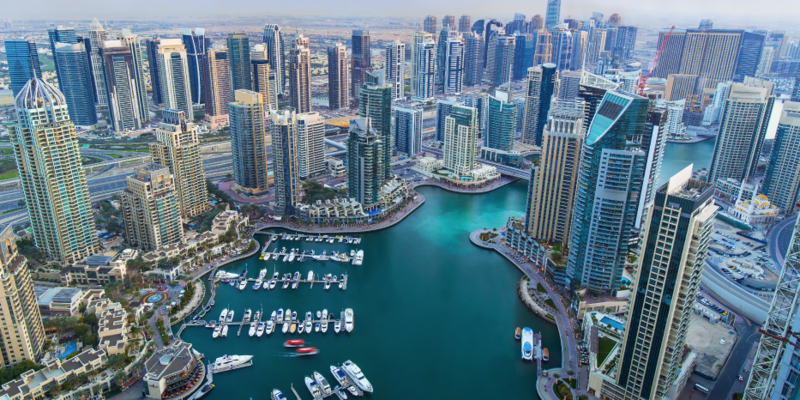 A recent ENBD report has noted that rental yields remain higher than those in most global capitals – making property in Dubai a genuinely powerful investment opportunity. Data suggests that apartment yields in June this year were around 7.3 per cent and are averaging around 7.4 per cent for the first half of 2017. Villa yields are holding steady at an attractive 4.8 per cent for the first half of the year. Not only does Dubai real estate outperform most other global destinations, but its generally stable yields also offer a welcome alternative to the rollercoaster ride that currencies, bonds and equities have taken investors on over the last few years. We’re forecasting a period of strong performance for Dubai real estate, the impact of which will ripple outwards to benefit other nearby markets.